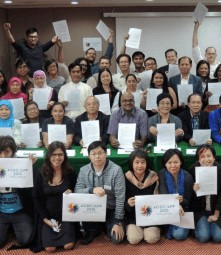 The IDC co-hosted two workshops at the ASEAN People’s Forum/ASEAN Civil Society Conference on 21-24 April 2015 in Kuala Lumpur, Malaysia. 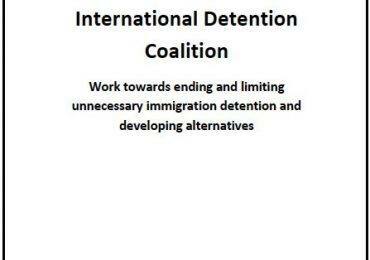 Migrants in Detention, co-hosted by IDC and Migrant Forum in Asia (23 April). The APF/ACSC is an annual forum of civil society organizations in ASEAN Member States. It is held as a parallel meeting to the ASEAN Summit of Heads of States. During APF/ACSC, civil society organizations discuss a range of topics of importance to the ASEAN region, including human rights, development, trade, environment, youth and culture issues. The output of the forum is a joint civil society statement and recommendations that are submitted to the ASEAN Secretariat and ASEAN government representatives. In both workshops, the IDC’s Asia-Pacific Regional Coordinator,Vivienne Chew, presented on the issue of immigration detention in the ASEAN region, and the need for alternatives to detention for migrants, particularly children. 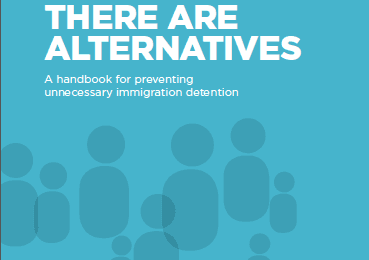 Where detention is to be used, it must be shown to be necessary and proportionate, and alternatives to detention used in the first instance. At the end of both workshops, participants agreed that recommendations should be submitted calling for an end to the immigration detention of children. Statements and speeches from the forum can be viewed here.